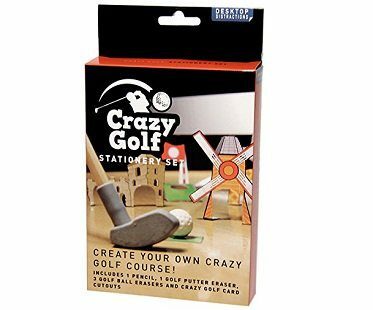 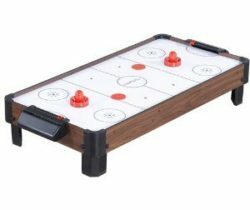 Take a break and enjoy a mini game to relieve some stress with this desktop golf stationary set! 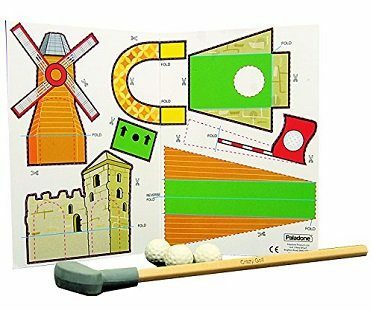 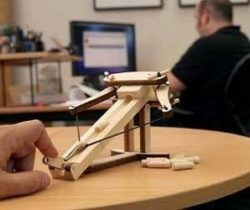 Use the pencil with the putter to hit the golf balls through the cardboard obstacle course. 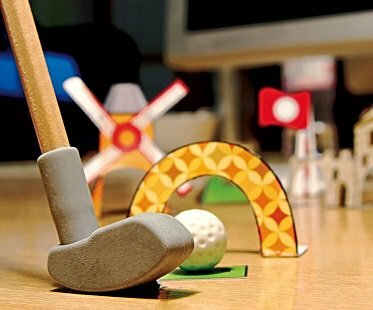 The putter and golf balls are useable erasers.